Format: Vinyl, LP, Compilation, Stereo. POOR: The record will not play properly due to scratches, bad surface noise, etc. The cover and contents suffer from folding, scuffing of edges, spine splits, discoloration, etc. Engelbert Humperdinck - My Love. Format: Vinyl, LP, Album. Records advertised as Sealed or Unplayed should be Mint. The cover and contents suffer from folding, scuffing of edges, spine splits, discoloration, etc. Engelbert Humperdinck - My Love. Format: Vinyl, LP, Album, Stereo. Records advertised as Sealed or Unplayed should be Mint. The cover and contents suffer from folding, scuffing of edges, spine splits, discoloration, etc. Format: Vinyl, LP, Album. Records advertised as Sealed or Unplayed should be Mint. The cover and contents suffer from folding, scuffing of edges, spine splits, discoloration, etc. Sleeve Condition: Very Good Plus (VG ). 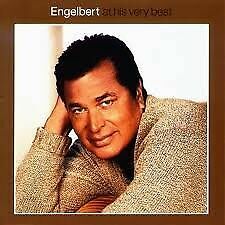 This fabulous album captures Engelbert at his brilliant best. Condition of Record EX . Condition Of Sleeve -EX. Very good for its era see more in the details. Format: Vinyl, LP. Records advertised as Sealed or Unplayed should be Mint. The cover and contents suffer from folding, scuffing of edges, spine splits, discoloration, etc. POOR: The record will not play properly due to scratches, bad surface noise, etc. Format: Vinyl, LP, Compilation. POOR: The record will not play properly due to scratches, bad surface noise, etc. Sleeve Condition: Very Good Plus (VG ). The cover and contents suffer from folding, scuffing of edges, spine splits, discoloration, etc. ENGELBERT HUMPERDINCK The Very Best Of Engelbert Humperdinck - 1976 UK Vinyl LP - MFP 50458. You Are The Sunshine Of My Life. Record Condition : Excellent. Put Your Hand In The Hand. Free As The Wind. ENGELBERT HUMPERDINCK A Man Without Love - 1968 UK stereo vinyl LP, SKL4939. A Man & A Woman. A Man Without Love. Record Condition : Excellent. Cover : Minor shelfwear (see photo). What A Wonderful World. Year : 1967 Cover Condition : Excellent Vinyl Condition : Very Good Genre : Pop, Easy Listening UK Release. A Man Without Love. Then You Walked Into My Life. The Power Of Love. Minor shelfwear to sleeve (see photo), but otherwise in excellent condition. The Way It Used To Be. After The Lovin'. The Spanish Night Is Over. Condition of both vinyl & sleeve is very good. (1 small crease to back cover in bottom right corner). Format: Vinyl, LP, Compilation. POOR: The record will not play properly due to scratches, bad surface noise, etc. Fair: The record is still just playable but has not been cared for properly and displays considerable surface noise; it may even jump. Format: Vinyl, LP, Album, Stereo. POOR: The record will not play properly due to scratches, bad surface noise, etc. Records advertised as Sealed or Unplayed should be Mint. The cover and contents suffer from folding, scuffing of edges, spine splits, discoloration, etc. Format: Vinyl, LP, Album, Compilation, Stereo. POOR: The record will not play properly due to scratches, bad surface noise, etc. The cover and contents suffer from folding, scuffing of edges, spine splits, discoloration, etc. ENGELBERT HUMPERDINCK. Decca Records LK 4868 (matrix 2A/1A) UK 1967. Mono 1st pressing with Front Laminated Sleeve. Record is in EX Condition and looks hardly played. spine is EX with clear text. Records are play tested both sides for condition, not just visually graded. The cover and contents suffer from folding, scuffing of edges, spine splits, discoloration, etc. Format: Vinyl, LP, Album, Reissue. Records advertised as Sealed or Unplayed should be Mint. POOR: The record will not play properly due to scratches, bad surface noise, etc. Engelbert Humperdinck-Live at the Riviera-LP- MFP50344-1971 MAM records ltd.
Engelbert Humperdinck-Live at the Riviera-LP- MFP50344-1971 MAM records ltd.. Condition is Used. Dispatched with Royal Mail 1st Class. This is one of 10000 singles LP's, 12” and 7" that I HAVE COLLECTED OVER THE LAST 30 YEARS; they run from the 1950's to the 2000's and cover every style of music. Walk Through This World. Ten Guitars. Walk Hand In Hand. The Last Waltz. In excellent condition. A Man And A Woman. Nature Boy. Year : 1967 Cover Condition : Very Good Vinyl Condition : Very Good Genre : Pop, Easy Listening UK Pressing. Mono. Note: Any records purchased from Life of Vinyl will come with a new polythene cover sleeve and will have been cleaned using a professional vinyl record cleaner. ENGELBERT HUMPERDINCK Vinyl LP ENGELBERT HUMPERDINCK , 1969, EX . Condition is Used. Dispatched with Royal Mail 2nd Class. Year : 1969 Cover Condition : Excellent - Vinyl Condition : Excellent - Genre : Pop UK Release. RECORD GOOD OVERALL CONDITION - NO OBVIOUS SCRATCHES OR MARKS. FOR CONDITION OF COVER SEE PICTURE. Year : 1969 Cover Condition : Good Vinyl Condition : Good Genre : Childrens UK Release. Gatefold Sleeve Including Booklet With Most Pages Missing. 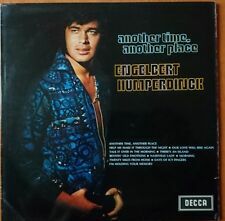 ENGELBERT HUMPERDINCK A Man Without Love - 1968 UK stereo vinyl LP, SKL4939. A Man & A Woman. A Man Without Love. Cover : Excellent. Record Condition : Excellent. What A Wonderful World. Can't Take My Eyes Off Of You. ENGELBERT HUMPERDINCK His Greatest Hits - 1971 UK vinyl LP compilation, SKL5198. Record Condition : Excellent. The Way It Used To Be. The Last Waltz. Winter World Of Love. Spanish Eyes. Format: Vinyl, LP, Compilation, Stereo. Records advertised as Sealed or Unplayed should be Mint. Fair: The record is still just playable but has not been cared for properly and displays considerable surface noise; it may even jump. Artist: ENGELBERT HUMPERDINCK. Title: ENGELBERT SINGS THE HITS. Label: COLUMBIA. Year: 1979. Format: LP. This copy is in decent condition. A lovely first pressing vinyl in good condition with one very light scratch. Format: Vinyl, LP, Compilation. Grading System. Records advertised as Sealed or Unplayed should be Mint. The cover and contents suffer from folding, scuffing of edges, spine splits, discoloration, etc. POOR: The record will not play properly due to scratches, bad surface noise, etc. Format: Vinyl, LP, Album, Mono. Records advertised as Sealed or Unplayed should be Mint. Fair: The record is still just playable but has not been cared for properly and displays considerable surface noise; it may even jump. POOR: The record will not play properly due to scratches, bad surface noise, etc. Format: Vinyl, LP, Compilation, Repress, Stereo. Record Perfect. Cover has minimal shelfwear with slight scuffing and a slight record ringmark. POOR: The record will not play properly due to scratches, bad surface noise, etc. Format: Vinyl, 7", 45 RPM, Single. Records advertised as Sealed or Unplayed should be Mint. Fair: The record is still just playable but has not been cared for properly and displays considerable surface noise; it may even jump. ENGELBERT HUMPERDINCK Live At The Riviera - 1983 UK issue of the 1971 vinyl LP, MFP50344. In excellent condition. Intro: Around The World; Till; Around The World. My Wife The Dancer. ENGELBERT HUMPERDINCK 16 Greatest Love Songs - 1973 UK Pickwick Label vinyl LP - CN 2070. A Man Without Love. What Now My Love. I Wish You Love. Love Letters. Love Is All. The Way It Used To Be. Can't Take My Eyes Off You. Format: Vinyl, 7", 45 RPM, Single. Sleeve Condition: Generic. Records advertised as Sealed or Unplayed should be Mint. Format: Vinyl, 7", Promo. Records advertised as Sealed or Unplayed should be Mint. The cover and contents suffer from folding, scuffing of edges, spine splits, discoloration, etc. POOR: The record will not play properly due to scratches, bad surface noise, etc. ENGELBERT HUMPERDINCK A Man Without Love LP Peruvian original 1968 RARE ! 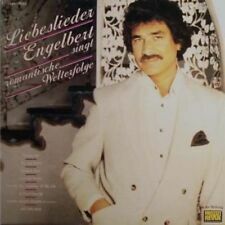 ENGLEBERT HUMPERDINCK 'A MAN WITHOUT LOVE' L.P. (PERUVIAN STEREO PRESSING) VERY GOOD CONDITION. CATALOGUE NUMBER: SKL4939. 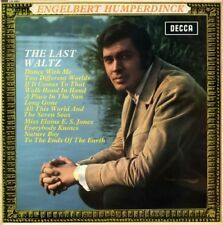 This album by the great Englebert Humperdinck was released on the London label in Peru back in 1968.